During a cholinestrase test, a needle is inserted into a vein and blood is collected in an air-tight vial or a syringe. The sample is taken to the laboratory for evaluation. The lab evaluates the enzymes acetylcholinesterase and pseudocholinesterase, which act to break down acetylcholine. 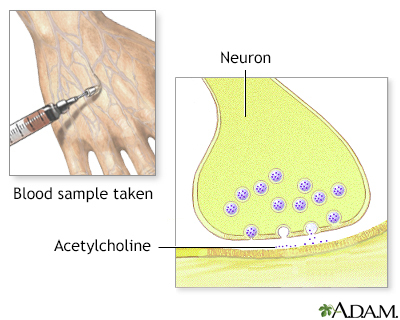 Acetylcholine is a critical chemical in the transmission of nerve impulses.